Somewhere over the rainbow there’s a pot of gold with a little green leprechaun waiting to kick off the RVC St Patricks Day Parade 2015! The 19th annual Rockville Centre St Patrick’s Day Parade will be held on March 21, 2015. So grab your buckled shoes and your green top hat and head on out to one of the best St Patricks Day parades in Nassau County! The RVC St Patricks Day Parade began in 1997, and since then has been bringing community members, Irish or not, together every March. The parade’s mission and the St Patricks Parade Committee is dedicated to “promoting Irish heritage and culture, family and patriotic values” through charity and kindness. This year’s event is expected to do just that. 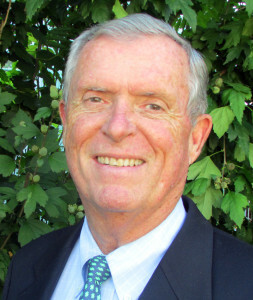 This year’s Grand Marshall is Bob Williams, the St Patricks Parade’s original attorney. Native to Rockville Centre, Williams has deep roots to the town, dating back to his father’s position of deputy mayor. The parade recognizes Williams for his dedication to Rockville Centre serving as counsel to the board of zoning appeals, the board of ethics and coaching Little League and soccer. This year’s RVC St Patricks Day Parade will be fundraising for three worthy charities, including The Katie McBride Foundation, Hance Family Foundation and Dublin Lourdes Pilgrimage for Children at Easter. The Katie McBride Foundation is dedicated to young Katie, who battled Burkitt’s Lymphoma, a rare childhood cancer. After losing her battle, her bright and energetic spirit lives on with her family fighting for other children suffering life-threatening diseases and honors the memory of Katie McBride. The Hance Family Foundation honors the lives of three young sisters, Emma, Alyson and Katie Hance, who died in a car accident in the summer of 2009. Funds are raised to create an educational system to develop self-esteem and confidence in children. Dublin Lourdes Pilgrimage for Children at Easter raises money for children with special needs to travel to Lourdes on Easter where thousands of children all around the world join together and are cared for by groups of doctors, nurses and priest chaplains. The pilgrimage provides a spiritual atmosphere for these deserving children. CJ’s Coffee Shop of Rockville Centre will be hosting their 19th Annual Breakfast Fundraiser a week prior to the parade on Sunday, March 15. From 8 am to 1 pm come for an all you can eat breakfast for $15.00, children under 10 eat free! The event supports the three sponsor charities. So don’t miss the RVC St Patricks Day Parade! It’s a community event for everyone of all ages. Bars along the route and around town will be participating in the celebration. Spend the day honoring the Irish heritage with neighbors, friends and indulge in some good ol’ fashioned Irish drinking! All Island Transportation can get you to the RVC St Patricks Day Parade safely! Make a reservation online or call us at a location near you. Happy St Patricks Day!